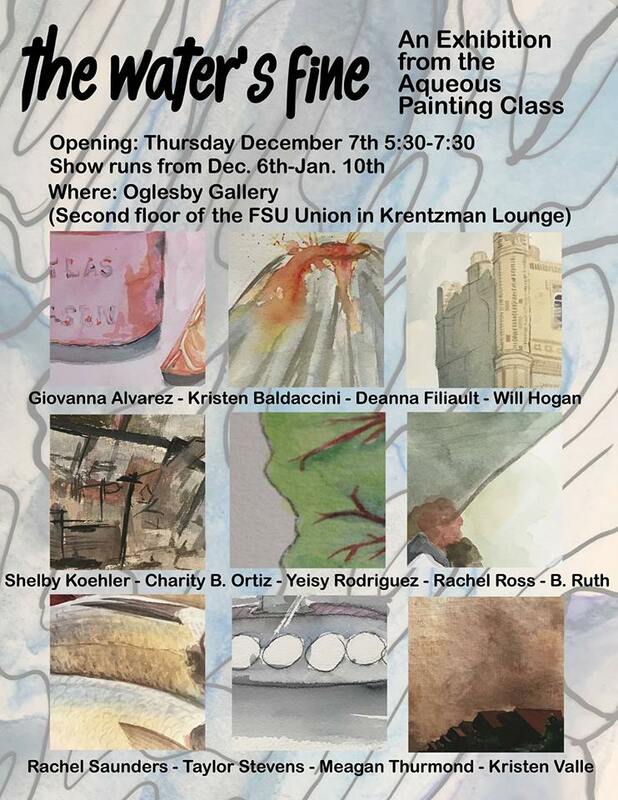 Please join the Department of Art for The Water’s Fine: An Exhibition from the Aqueous Painting Class on Thursday, December 7th from 5:30-7:30 at the Oglesby Gallery (2nd floor of the FSU Union in Krentzman Lounge). The exhibition is free and open to the public. The show will run from December 6th to January 10th. The Oglesby Union Gallery is open regularly Monday thru Friday 8:00am to 10:00pm and Saturday thru Sunday 12:00pm to 10:00pm.